This small area, 3 gallon Carpet Spotter allows for effective stain and spot removal. Easy, retractable handle and thick rear wheels provide an easy means of moving the Spotter from room to room. The 20 ft. UL power coord and 8 ft. Hose provides added measures for always being able to get the stain you want removed in even some of the hardest to reach areas. This clear, arcylic hand tool comes standard with Non-Heated units. 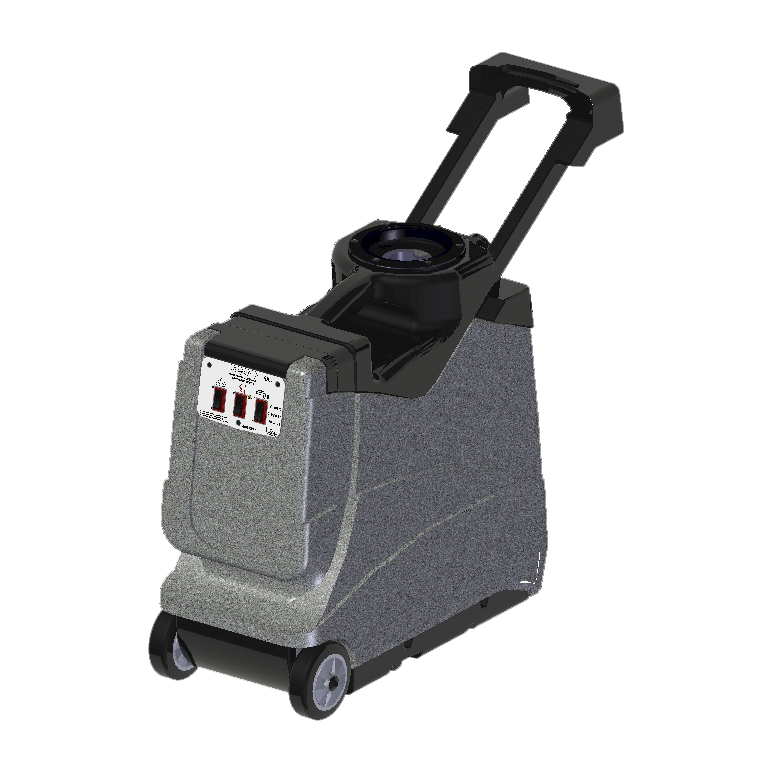 The front clear part of the tool allows the operator to see how much dirt is being removed from the carpet while its running. This Stainless Steel with Clear-View Hand Tool for the Spotter is designed specifically to withstand a large amount of pressure from the operator as well as allowing the operator to see the amount of dirt being removed. This full Stainless Steel hand tool is the best for deep cleaning. 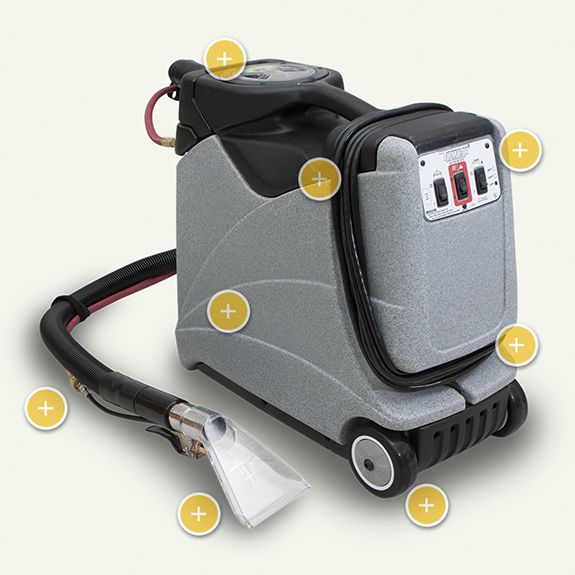 Specifically used as the Standard Tool for Heated Units. This tool provides maximum rigidity while performing exceptionally. This full Stainless Steel wand is the best for deep cleaning. Stainless Steel provides rigidity as well as long life of components.